When Charlotte Page first met Leo Westbrook, she was a shy, skinny teenager on the verge of becoming a woman. The moment the naked, chiseled Adonis mistakenly walked into her room, she was lovestruck. Leo was perfect in her eyes, and he proved it by helping create a billion-dollar business with Charlotte's brother. Even before he became a billionaire, Leo always had women throwing themselves at him. But the only woman he really wanted was the one he couldn’t have. Because Charlotte was his best friend and business partner’s little sister, he couldn’t afford to let her get too close. Yet he found himself unable to resist her. With each passing day, her charms threatened to overcome his defenses. After a decade of being his friend's blushing, stuttering little sister, the man of Charlotte's dreams finally noticed her. After one tropical kiss and a night of passion, her fantasy finally seemed to be coming true. However, when a lie from Leo's past caught up with him, it prompted her to question everything she thought she knew about the man she loves. Leo always knew that being with Charlotte wasn’t meant to be. Even if she could forgive him for his decade-long deception, he knew it would be better for her if he walked away. Yet sometimes, love is stronger than lies. Will Charlotte and Leo find a way to be together, or will they be left with nothing but memories of their waterfall kisses? Charlotte has been working hard on the upcoming auction but not too hard that she was able to play matchmaker for her brother and Ava when they needed her. Now that her brother is getting his much deserved happy ever after Charlotte is determined to get hers he just doesn't know it yet. Charlotte has had a crush on Leo since she was was a young teenager but he's always seen her as the kid sister of his best friend. Neither one can deny the attraction and when Leo finally makes his move she finds that waterfall kisses are wonderful. What begins as a whirlwind romance between them over the next few days quickly turns cold as Leo is hiding something. Will Charlotte be able to figure out what deep dark secret that Leo is hiding before it is too late? Will she get happy ever after she's been dreaming about since she was a little girl? I like Charlotte a lot we get to see a little of her in in the prior book which features Ava and Bastian happy ever after. She's a little on the workaholic side but a total sweetheart who's supported her brother who she's not blood-related to. I like that has has a kind heart and is willing to do anything for those she loves. I wasn't sure about Leo because I didn't like he was hiding something but he redeems himself. I've been working my way through Krista Lakes Kisses series which is one of my favorite sweet steamy romance series. I love that she's created her own little world for all the billionaires to be connected which allow for past characters to intertwine in the newer books. I found that I am able to connect with each character as they steal a place in my heart. I love Charlotte and Leo they are adorable together a long time crush turned into happy ever after. 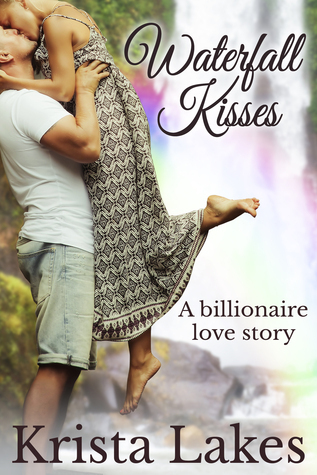 I love the Kisses stories they are quick fast paced loaded with sweet romance and enough steamy moments to leave you wanting more. I can't wait to dive into the next one.